Wondering what to put on your wedding registry that will actually get used? 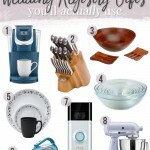 Check out this list of products from my own Amazon wedding registry that get used regularly. 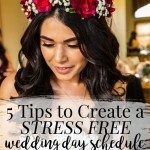 Here are some things to consider when you start to create a wedding day schedule! These are the tips I'm giving brides based on what worked for me, and what I wish I did. 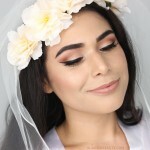 If you're tasked to do your own bridesmaid makeup, the number one thing to be concerned about is having it look timeless and defined without overpowering the bride in photos. Here's an easy tutorial using all drugstore makeup! 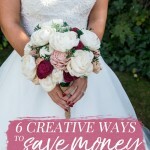 I'm sharing the six biggest ways you can save money on your wedding-- budget brides, this is for you! Being a wedding guest can be expensive. 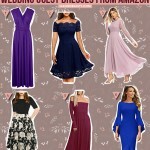 Check out these spring wedding guest dresses from Amazon that won't break the bank. 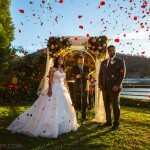 Check out all the details of my fall wedding at Bass Lake, and see some of my favorite photos and memories from the big day. 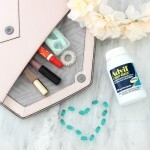 See what I'd packed in my wedding clutch, or my bridal emergency kit, for the big day! Don't leave the essentials at home-- here's a last minute wedding packing list full of the must-haves and other convenient items to have on hand. Don't gift another boring picture frame-- here are bridal shower gifts that are sure to be a hit. Is the Helix mattress the best mattress for couples? Check out the whole process from ordering, to unboxing, to our final 2 month review. Only 3 months to go until the biggest day of my life! 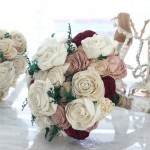 Check out my EcoFlower review after receiving my wedding bouquets, an easy wedding DIY and a handy wedding invite hack.